This post is for anyone who is trolling Google for WordPress Optimizer Plugins. I know you are badly infuriated by your sluggish website speed and want to throw your computer somewhere. Wait! Don’t climb on your high horse! And Think! How your visitors must be feeling after landing on your website? Do you think they are going to wait till your webpage will load? Never! Because more than 83% of the internet fanatics expect a web page to load in 3 seconds or less. Google also hates slow websites! Now, you don’t have to be a tech-savvy to make your website super fast. Let me elaborate Why’ and “How”? WordPress Optimizer Plugins improves your website’s performance, makes it faster than ever and more SEO friendly. It can do many chores for speed optimization like it decreases HTTP requests, remove unused scripts/files, browser caching, image optimization and much more for faster page loading. I am sharing my listing of 7+ Best WordPress Optimizer Plugins that are the keys to solve any problems associated with your site’s speed. 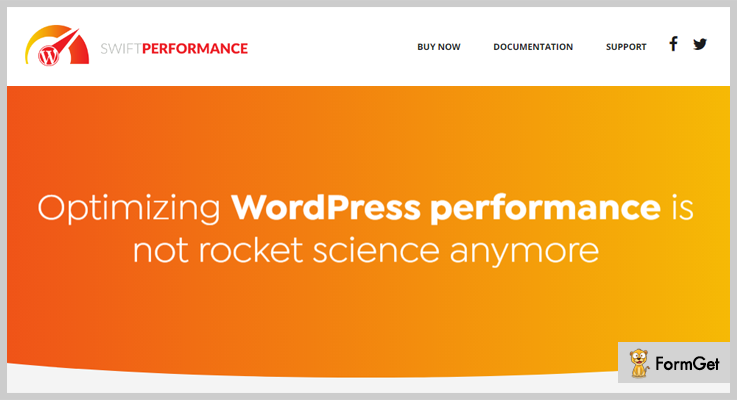 WP-Rocket is the premium plugin that will whet your appetite for its speed and simple configuration. It is currently bustling on 26,000+ websites. Page caching is activated by WP-Rocket just after its installation & activation. Also, you can do cache preloading and can load images when they are required. WP-Rocket has a pricing of $39. If you really want to enhance your website’s speed performance, it is well worth! This plugin will keep you free from tech savvies! Perfmatters reduces the HTTP requests, stripping out the code and minimize the back-end load to increase the speed of your website. 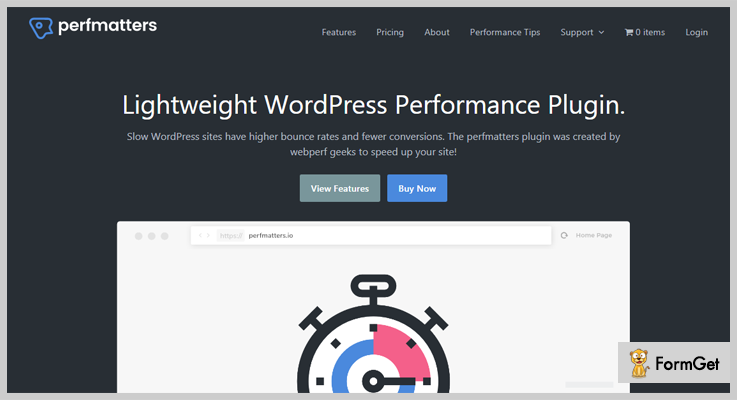 This plugin is popular as one of the most powerful caching plugins with a plethora of options to speed up your WordPress website. The most influential feature of Swift Performance is that you can cache dynamic pages, AJAX request and can add exceptions to URL, page etc. This plugin is merely vast with its compatibility list, it goes well with bbPress, WooCommerce, Varnish and Cloudflare web accelerator applications as well. Keep your WordPress database clean. This plugin will improve your website’s overall SEO by speeding it up. Ultimate WordPress Speed Optimizer Plugin is not a Cache/CDN plugin, it optimizes your website by removing all unwanted scripts, styles, functions, options, etc. Results have proved that Ultimate WordPress Speed Optimizer Plugin can improve the website speed by almost 40%, can upgrade your website’s Google Page Speed Score by 7 points. Remove WooCommerce Generator tag, styles, and scripts from on WooCommerce pages. Remove bbPress CSS styles and scripts from on bbPress pages. Manually select and remove unwanted jetpack styles and functions ( 24 options ). Remove all sorts of Head tags ( 10 different options can be selected ). Grab this full-featured beautiful plugin at $21. 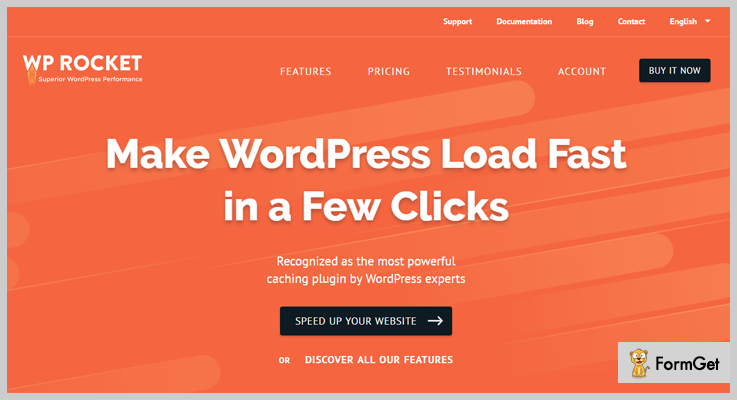 This plugin boosts up your WordPress website’s speed by reducing the page load time and requests it made to the server. Grab Speed Up WordPress Optimizer Plugin at just $25. 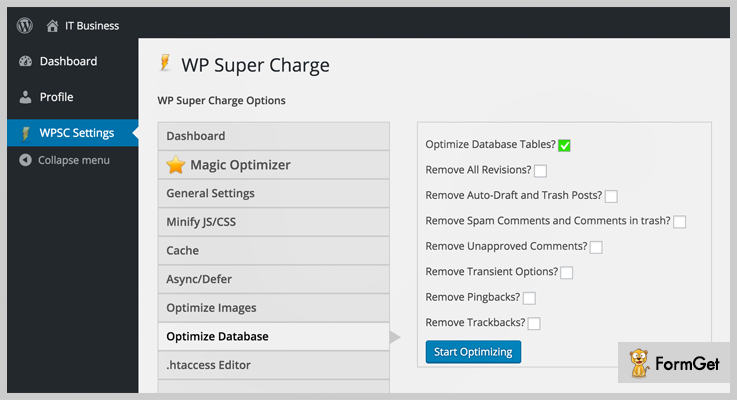 WP Super Charge has the one-click magic optimizer that automatically optimizes your website’s speed by setting optimal settings. It also does image optimization both losslessly as well as can remove the image meta for the specified number of images. WP Super Charge costs $25, providing all future updates and 6 months premium support. This plugin allows cleaning 25 varieties of data and optimizes the database at once or in a scheduled event! It is developed for WordPress single-site installations (not for WordPress multisite installations). WP Cleaner Pro is the most dynamic and easy to use plugin! It can be used to clean trash and optimize your WordPress website. Backup of the WordPress database (create/download/delete backups). The cleaning process is logged. Logs can be seen and deleted. Translation ready (English .mo and .po included). WP Cleaner Pro has the base pricing of $12. This plugin is an open source software to optimize your WordPress website. WP Asset CleanUp goes well with WordPress Multisite Network. It investigates your page/post and detects all the loaded assets. Simply you have to enable all the assets that are not necessary on the template. 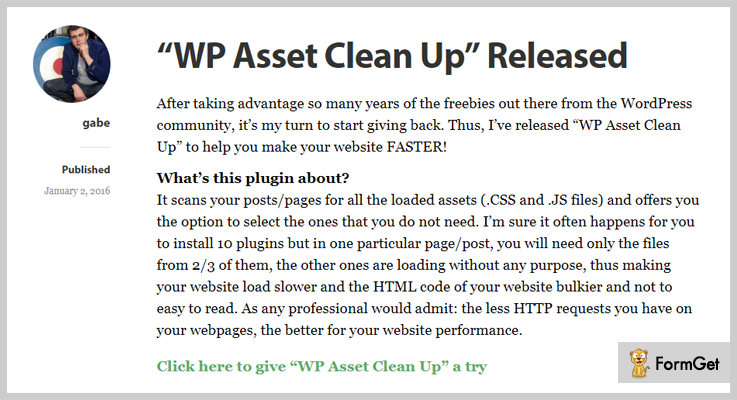 WP Asset CleanUp WordPress Optimizer Plugin is absolutely free! Hopefully, your website is good now and running like a rocket from my listing of 7+ Best WordPress Optimizer Plugins! Change your gesture because now you have to greet your happy customers. Let me know if I can help you more!